I’ve been watching some lyric news stories in the press recently. Funny how news-worthy they can be. Elvis Costello, for example, has grown up and signed a deal for a number of books. 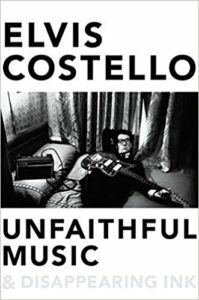 He promises a “series of intimate narrative chapters taking their cue from the styles, themes and characters found in a number of Costello’s lyrics”. The Hindi pop and Turtles stories go well together. In the first case, the ruling party in India has been re-writing Hindi hits for their political campaign. In the second, an advertiser in the US has re-written “Happy Together” – without the knowledge of the original writers! Contractually, the publisher didn’t have to ask them. So they didn’t. Nah.